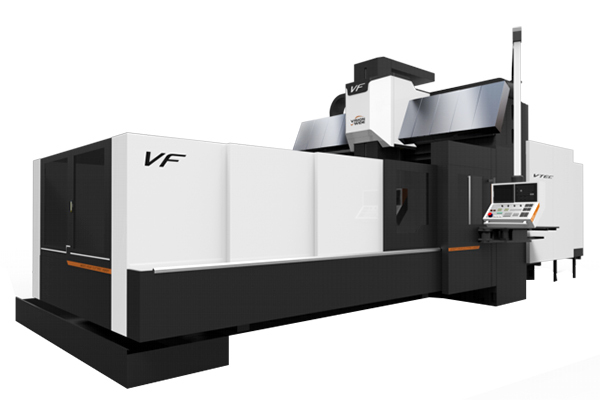 VF series, classic CNC milling double column/ bridge machining center in Vision Wide product lines, applied box guide ways to display Vision Wide’s delicate scrapping and traditional machinery techniques. VF equipped extraordinary heavy duty cutting ability that met cutting requirements for mold base and components. Meanwhile, there were auto heads attachments for mold surface machining.